All of the usual signs of Spring are here. Proper road racing is finally underway in Europe for those fans that linger on after all the years of scandal and controversy in the pro peloton. Locally the race calendar is in full swing between CRCA, Prospect Park and Branch Brook. Yet somehow New York City was on the receiving end of yet another, possibly soul crushing, midweek snowstorm. So for much of The Week That Was most of TBD retreated indoors, keeping an eye on the weekend forecast in the hope that racing would in fact occur as scheduled. Ted hits Highbridge Mountain Bike Park in Manhattan in the midst of the mid-week storm. We closed out the weekend on a grey and cold Sunday spread all about across the New York City metropolitan area. 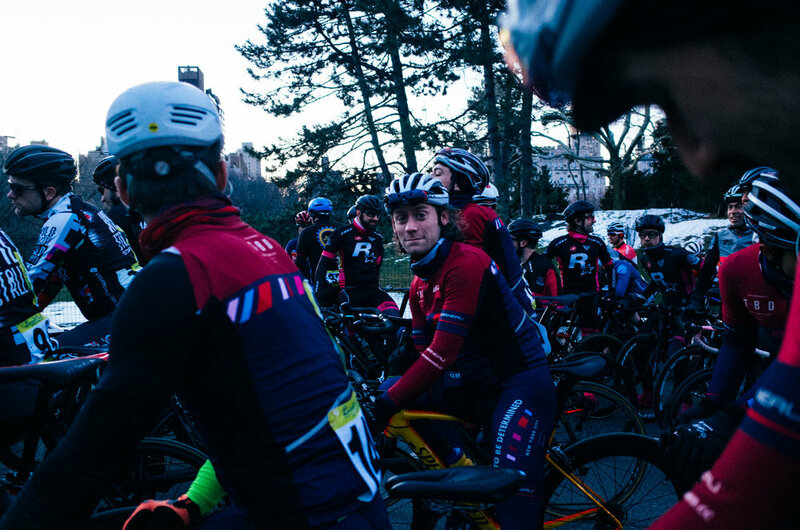 Clay, Clark and Cullen started things off before dawn at the first race in the Lucarelli & Castaldi Series in Prospect Park. Clay took home second overall while Clark, despite having raced the day prior in Central Park, nabbed his second top 10 of the weekend. Cullen meanwhile won the tired legs award. For those not racing it was a windswept training ride to the Orchards instead. In sum, it was a week with more snow and slush than adventure and inspiring imagery. But fairy tales spun by Instagram influencers aside that is at times sad reality of amateur bike racers in New York City in Spring: too many grey days and too much time stuck indoors on the trainer. But hey, at least the weekend weather decided to play nice (for the most part). And in theory summer should arrive at some point in the next few months. Think you could ride the backwards brain bicycle?